San Marco Coffee is committed to 100% customer satisfaction. If you are not completely satisfied with a coffee then you can within 15 days of receipt return it to us as long as it meets the below requirements for a refund. 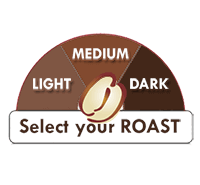 San Marco Coffee takes great pride in our coffee and hopes that every order is to your satisfaction. An order must have an RMA# before being sent back to us. Any package without an RMA# will not be accepted at our warehouse and or eligible for a refund. Any coffee returned must be whole beans and in it's original packaging, and contain eighty-five percent of it's original purchase weight. We do not accept returns of ground coffee. A disposal fee of 35% applies to items opened, unopened, tried, and or returned due to customer's dislike of the product. We only sell fresh roasted coffee and since the product is no longer usable for resale, the fee covers a small percentage of the company's loss. A copy of your receipt is required, make sure your order number and date is clearly marked. Unfortunately, the shipping costs for items and cost for returning items, are not covered and will not be refunded. Buyer is responsible for all shipping costs incurred for returns, including actual shipping cost of any free shipping items. Any item(s) returned that were purchased with free shipping will have the actual costs incurred with shipping the order deducted from the refund for the item(s) returned. San Marco Coffee does not hold any responsibility for lost or damaged returns, we strongly recommend that you purchase insurance on all items being returned. Refused Shipments - If a shipment is refused you are responsible for all shipping charges both to and from you including actual shipping cost of any free shipping items in addition to any other fees, including any import fees. Any item(s) returned that were purchased with free shipping will have the actual costs incurred with shipping the order deducted from your merchandise refund along with a 35% restocking/disposal fee for the item(s) returned. Please allow approximately 10 business days for your return to be processed once it has arrived at our warehouse.